Just like you know a vacuum cleaner as a Hoover, and sticky tape as Sellotape, brand names cross into this industry as well, and channel drains are a perfect example. You may have heard channel drain referred to as ACO Drain. This is just a brand name associated with the general channel drain product, they are the same thing. Again, linear drain is just another name for channel drain; it is called this because of its straight channels which join in lines to remove surface water. Slot drain is often used as the inclusive term for channel drain but this would be incorrect. Slot drain is a different variation of a channel drain; still using the channel system but instead, the surface is a discreet slot as opposed to traditional grating which you would see in standard channel drains. Each channel and grating are made with materials used to withstand certain pressures and weights. This makes it easy to choose which grating meets the needs of your project. The loading ratings are split into 6 weight categories; A15-F900 going from 1.5 tonnes to 90 tonnes. Although each rating comes with its recommended uses there is nothing stopping you using and F900 channel drain in your driveway, it will still hold the weight of anything passing over it, so if in doubt opt for channel with a higher loading class just to be sure of no breakages. Of course the higher the rating the more expensive the drain gets so this is something to take into consideration when choosing a channel drain! For any landscaping projects you should chose a channel drain within the A15 loading rating. They can be made from either galvanised steel or polypropylene plastic. These drains are suitable for PEDESTRIANS ONLY. For driveways you will need to have a channel with a B125 loading rating. 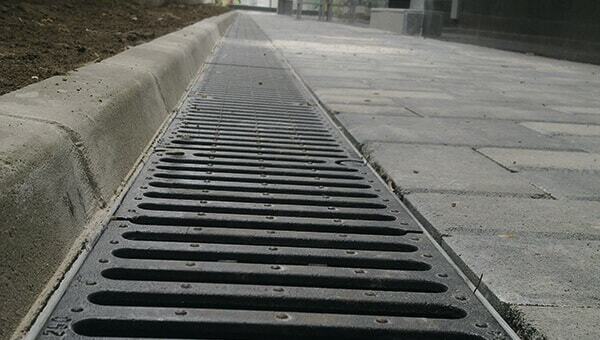 These gratings are made from galvanised steel and will hold the weight of your average car. Ever wondered why you have drainage problems on your driveway? We've put together some answers and tips to prevent standing water on your driveway. If your project is a carpark with multiple cars you are going to need to pick a channel with has a rating of C250 or more. If installing in a larger commercial carpark where heavier vehicles may pass over it would be worth going up a loading class. 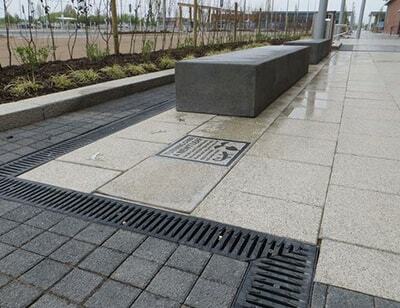 Check out our knowledge guide for more informaiton on channel drains for use in car parks. Installing on roads you would need to use a channel with a D400 rating to withstand 40 tonnes of moving traffic. Areas such as a dock or a factory where heavy forklifts are operating you will need to choose a channel with an E600 rating or higher. You will need the strongest industrial channel of them all to withstand the weight of a speeding aeroplane. This requires a channel with an F900 rating. These channels will come with a ductile iron grating and a fibre reinforced concrete channel ensuring they are strong and robust. 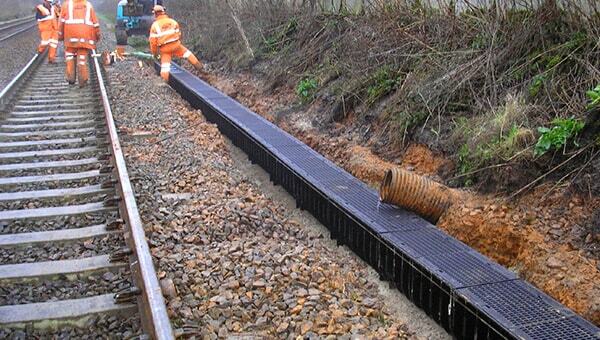 For any landscaping projects you should chose a channel drain within the A15 loading rating. They can be made from either galvanised steel or polypropylene plastic. These drains are suitable for PEDESTRIANS ONLY. 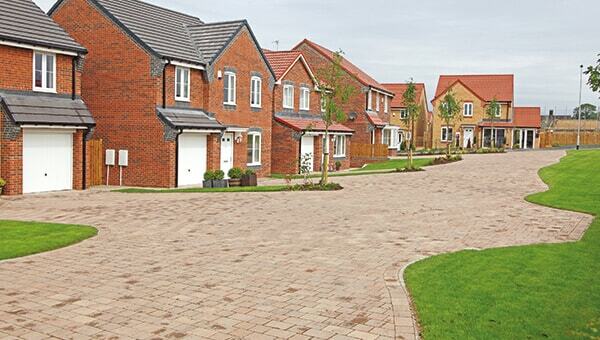 For driveways you will need to have a channel with a B125 loading rating. 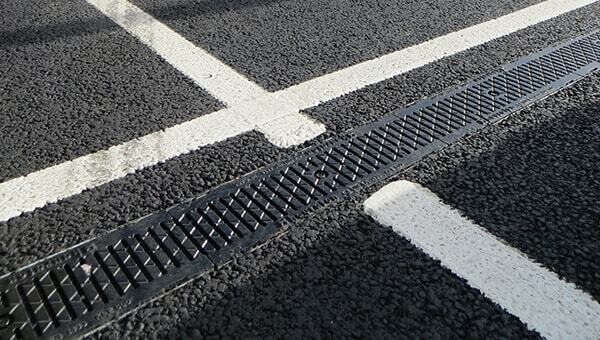 These gratings are made from galvanised steel and will hold the weight of your average car. Installing on roads you would need to use a channel with a D400 rating to withstand 40 tonnes of moving traffic. Areas such as a dock or a factory where heavy forklifts are operating you will need to choose a channel with an E600 rating or higher. You will need the strongest industrial channel of them all to withstand the weight of a speeding aeroplane. This requires a channel with an F900 rating. These channels will come with a ductile iron grating and a fibre reinforced concrete channel ensuring they are strong and robust. 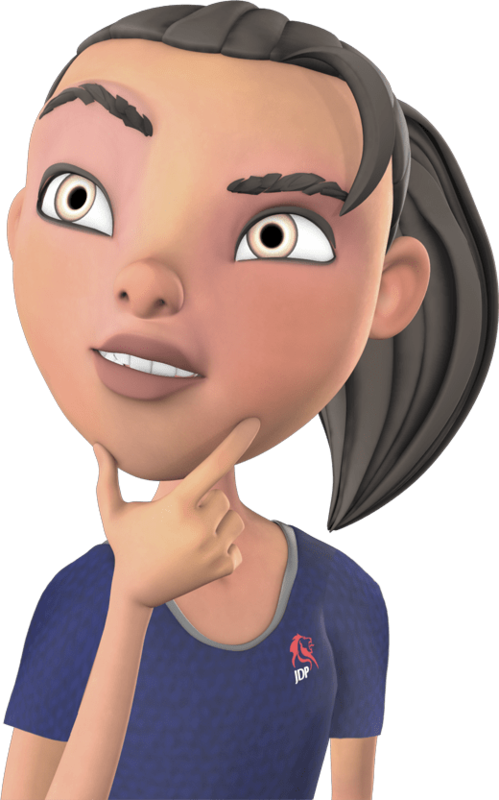 At JDP we focus on sustainability and practical innovation when choosing which products we offer our customers. Find a range of channel drain manufacturers who share our philosophy in our store.